Click on a state or country name for horseshoe crab sighting locations. If you have seen horseshoe crabs in a location not yet listed, please let us know! Where did you see horseshoe crabs? Please add any additional information or comments. 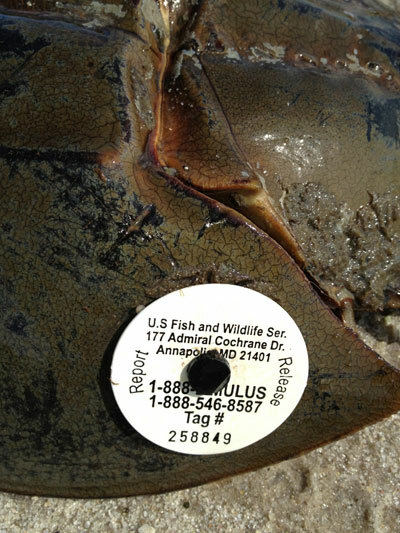 All horseshoe crab tagging information in the USA is managed by the USF&WS and should be reported through their website. Tags on horseshoe crabs are quite obvious, as shown in the photo at left.